Scotland, 1831. After a tumultuous courtship complicated by three deadly inquiries, Lady Kiera Darby is thrilled to have found both an investigative partner and a fiancé in Sebastian Gage. But with her well-meaning—and very pregnant—sister planning on making their wedding the event of the season, Kiera could use a respite from the impending madness. Commissioned to paint the portrait of Lady Drummond, Kiera is saddened when she recognizes the pain in the baroness's eyes. Lord Drummond is a brute, and his brusque treatment of his wife forces Kiera to think of the torment caused by her own late husband. Kiera isn't sure how to help, but when she finds Lady Drummond prostrate on the floor, things take a fatal turn. The physician called to the house and Lord Drummond appear satisfied to rule her death natural, but Kiera is convinced that poison is the real culprit. Now, armed only with her knowledge of the macabre and her convictions, Kiera intends to discover the truth behind the baroness’s death—no matter what, or who, stands in her way . 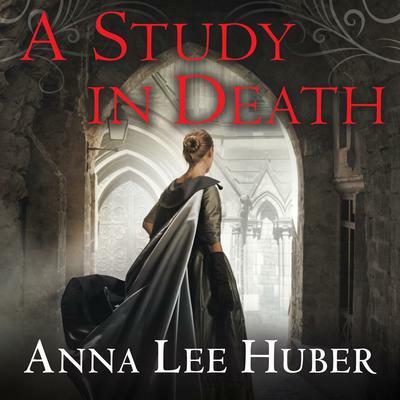 . .
Now, armed only with her knowledge of the macabre and her convictions, Kiera intends to discover the truth behind the baroness’s death—no matter what, or who, stands in her way . . .